There is always a moment of awe when two things I love come joined together in a new way. 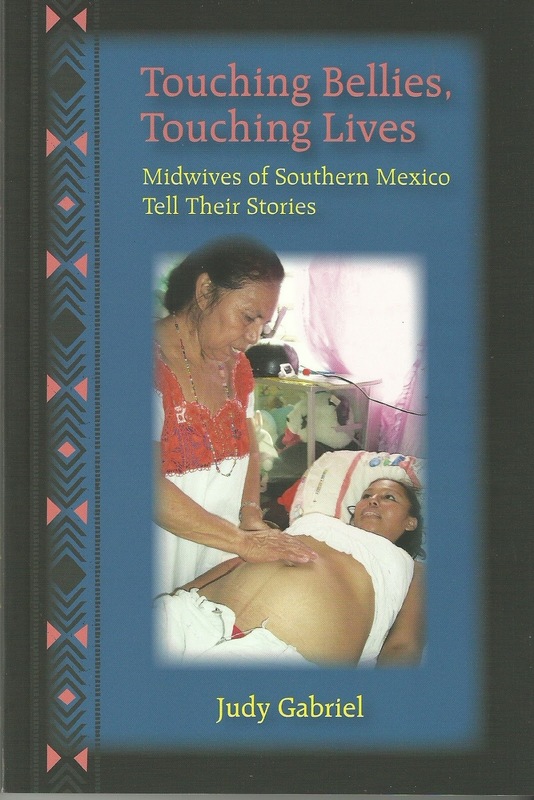 Judy Gabriel's book, Touching Bellies, Touching Lives marries my two loves, anthropology and birth, in one volume chronicling the lives and wisdom of a dying breed of Mexican midwives. My first introduction to anthropology also concerned birth. In Anthro 101 at the University of New Mexico I read the book, Nisa, about the life of a Kung bushwoman. Nisa free birthed her first baby squatting by a tree. This birth story was the first I ever read and colored all my views of birth thereafter. 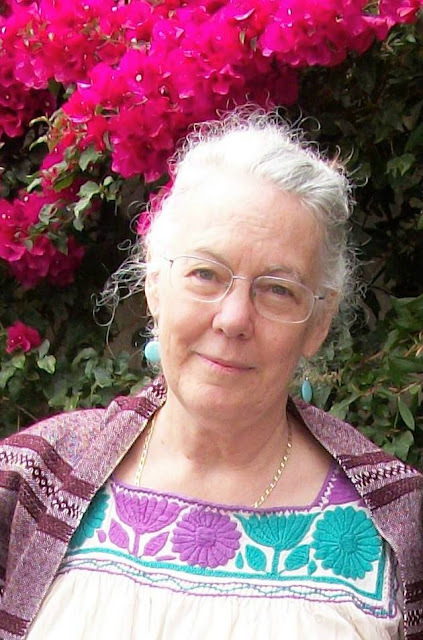 Judy brings anthropology, the study of culture and people, back to birth with her book, Touching Bellies, Touching Lives. 1) Judy is bilingual and spends what must have been years visiting and re-visiting midwives throughout Mexico to learn more about their art: midwifery. The story is truly the story of the midwives themselves. Judy is sure to quote these women extensively. There is great power in reading the real words of real women, rather than a scholars constantly regurgitated thoughts on such. I love when the writer honors those interviewed and shares their words. This knowledge is which is literally dying out. Gabriel returned several times to re-visit some of these women, and she often found that they had passed on. I am so grateful, and we all should be, that someone took the time to reach them before it was too late. Too much cultural wisdom and history has been lost in our race forward. While not all that is old is good, we will never know if we forget it altogether. Mexican midwife does a belly massage on a pregnant woman. 3) Mexico has recently had rapid shifts in the way maternity care works, where women give birth, and in the cesarean section rate. This is somewhat like the shift that occurred in the US but it is a more recent and speedy phenomenon there. It is wonderful that it was documented somewhat in this book, but honestly, many more books could be written on this very subject. So glad that Judy Gabriel captured some of this. When I first picked up this book, I shamefacedly admit, I thought the title was a little strange. One of the big focuses of the book is the belly massages common to these midwives. They performed them regularly on pregnant woman. In fact, though most Mexican women now birth in hospitals, these belly massages are one of the things that brings them back to these old midwives. Able to (almost always) turn babies to a favorable position through gentle means, this is important knowledge. Knowledge that, hopefully, may be better preserved because of this book. I see so many parallels to the modern external version (which is probably more invasive and less gentle) practiced by modern OBs, and even the Webster technique (which involves working on the round ligament rather than touching the baby and also includes an adjustment of the pelvis) practiced by modern chiropractors who specialize in care of pregnant women and babies. I hope this wisdom can be preserved and that Judy Gabriel's book will be an impetus for more learning and documentation of the work done for centuries by Mexican midwives and which could potentially improve outcomes and lower cesareans in this country. She seems to listen without judgment to the things that some midwives did to help labor. (Maybe this is what happens when a doula writes a book!) She talks about the strange things like drinking pee or drinking raw eggs- things that sound pretty weird to your average Westerner. She does not stand in judgment nor does she seem to fully embrace them. I appreciate this. Often the writer either worships those they interview as though they can do no wrong, or views them through a more "knowledgeable" and "sensible" lens of superiority. Judy does neither. Perhaps my favorite thought from Touching Bellies, Touching Lives, comes on page 179. There is so much deep stuff here, I kind of wish I had written it. "And always...the baby is born and is, as far as we can tell, just fine. In that triumphant moment when we hear the baby's first cry, when we place the baby in the other's arms and share in her relief and joy, we experience the great satisfaction of knowing that what we did must have been exactly the right thing to do." Doesn't this just cut to the chase of all the non-evidence based traditions of midwives and obstetricians, and even the nature of what we believe is evidence based? And yet, most of the time, as with today, the baby was fine. This might be the greatest piece of wisdom I took from this book- women just work and their bodies just work and the birth process just works- most of the time. Those that attend her love to take a little bit of credit. In the end, maybe it is really the women and their babies that have something to teach us about life, control, luck, beauty, and birth. So people- read this book! Buy this book! Share this book! Ask your library to get this book! We can't do everything. I don't speak Spanish and I have never been to Mexico. But I do believe that if we share this book and the treasures within it, we can have a small part in preserving the memories and wisdom of the often forgotten and quickly disappearing past. “Maria Luisa Guaquipana of Caseyche [Ecuador], who has been a midwife for over 20 years, shared that she was taught by her mother, who was taught by her mother, as they traveled by horseback to deliver babies in their remote village. The techniques are passed on from generation to generation. Due to the remoteness of their village, those techniques rarely include the benefit of medical advances in neonatal care. You see, this story is one account of the LDS Church’s ongoing effort to reduce neonatal mortality in 42 countries worldwide. (You can read more of it at https://www.lds.org/church/news/lds-medical-team-trains-midwives-in-newborn-resuscitation?lang=eng.) The difference between the experience of these medical professionals and that of Judy Gabriel is that they are concerned with saving lives, not idealizing primitive practices. The LDS Church has invested considerable funds and volunteer-hours to provide modern techniques and equipment to traditional midwives. You say, “Mexico has recently had rapid shifts in the way maternity care works, where women give birth, and in the cesarean section rate.” And the result? Mexico’s neonatal mortality rate has dropped from 16.9 per 1000 in 2009 to 6.5 in 2013 (http://www.indexmundi.com/facts/mexico/mortality-rate). The maternal mortality rate dropped from 85 per 100,000 in 2008 to 50 in 2010 (http://www.indexmundi.com/g/g.aspx?v=2223&c=mx&l=en). Can you identify anything that the “work done for centuries by Mexican midwives” has done to affect those rates? “And yet, most of the time, as with today, the baby was fine.” Except when it wasn’t. Except when medical care would have saved it. Can we talk about those babies? Are we supposed to be pleased that the process works “most of the time” and just shrug our shoulders the rest of the time? Or, when possible, should we be prepared for each and every birth as the potentially life-threatening event it is? (Yes, such an emergency is very rare, but here’s the thing. It can’t be foreseen. That’s kind of the definition of emergency. And that one rare emergency represents one precious life.) Traditional midwives don’t have the expertise or equipment for those emergencies. Their assistance is valuable when no other help is available, but it looks like LDS Charities thinks we should try to do better. They know that our bodies have a divine Model but are flawed in mortality, and merely trusting in the “process” means that some babies will die needlessly. We ignore those babies if we romanticize birth and traditional birth practices.